The events in California are bizarre, very bizarre. We are seeing wide swaths of airspace being closed to the public. We are also seeing the launch of a Trident missile without an adequate explanation being given to the public. As I dug deeper into these events, I am left wondering, was this missile launch about World War III preparations, or the coming civil war? KABC Los Angeles is reporting that the military is currently performing highly secretive exercises over the Pacific Ocean. All airspace over the Pacific has been closed to incoming flights, forcing Los Angeles international airport to re-route landings late at night. Why at night? What are they hiding? What are they bringing in? And I have come to believe that the Stramge Event #1 has no direct relationship to Strange Event #2. There are several media reports which are very similar to the following account of an apparent missile launch on November 7 in the early evening hours. SACRAMENTO, Calif. (KCRA) —A bright, unidentified flying object was spotted going over the Northern California region Saturday evening. At about 6 p.m., viewers first reported seeing a bright blue or green light with a tail-like object trailing behind it fly across the sky. Pictures and video have come into KCRA’s newsroom from across the region, including Davis, Lodi, Stockton and Roseville. The object was also reportedly seen in Southern California, Arizona and Nevada according to KCRA 3. 1) TEST FIRINGS ARE GENERALLY DONE DURING THE DAY. AS YOU MIGHT EXPECT, A TEST SHOT IS QUITE EXPENSIVE, AND THUS, ONE TRIES TO ACCOMPLISH MULTIPLE TEST GOALS WITH EACH LAUNCH. ONE OF THE OBJECTIVES OF A TEST FIRING IS EITHER TO TEST ONE OR MORE MISSILES IN A NEW BLOCK OF HARDWARE TO QUALIFY THE ENTIRE BLOCK, OR TO TEST ONE OR MORE AGED MISSILES TO DEMONSTRATE THAT THEY ARE STILL SUITABLE FOR DEPLOYMENT. IN CASE OF A FAILURE, VIDEO FOOTAGE IS INVALUABLE IN DETERMINING THE CAUSE OF THE FAILURE SO THAT CORRECTIVE ACTION CAN BE TAKEN. FIRING AT NIGHT PREVENTS THIS VITAL VIDEO RECORDING. NO PROGRAM MANAGER WORTH HIS SALT WOULD OPT FOR A NIGHT LAUNCH. 2) I WAS INVOLVED IN EARLY STATIC TESTS (WITH THE ROCKET MOTOR STRAPPED DOWN HORIZONTALLY) TO PROVIDE TARGETS FOR THE “STAR WARS” LAUNCH DETECTION SATELLITES. THESE EARLY TESTS WERE CONDUCTED AT NIGHT IN ORDER TO PROVIDE THE HIGHEST POSSIBLE LEVEL OF CONTRAST BETWEEN THE MOTOR EXHAUST AND THE AMBIENT ATMOSPHERE. THIS COULD BE THE REASON FOR A NIGHT LAUNCH, HOWEVER, I BELIEVE THAT THE TECHNOLOGY HAS ADVANCED TO THE POINT WHERE THE DETECTION SYSTEMS CAN SEE PERFECTLY WELL IN BROAD DAYLIGHT. THUS, THERE SHOULD BE NO NEED TO LOSE VALUABLE VIDEO DATA BY LAUNCHING AT NIGHT. 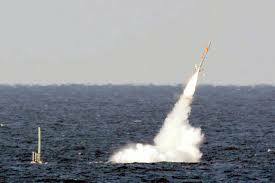 3) THIS MAY HAVE BEEN A TEST, NOT OF THE D-5 ICBM, BUT OF A SYSTEM BEING DEVELOPED TO INTERCEPT SUBMARINE BASED ICBM’s LAUNCHED NEAR OUR COASTS. OUR VULNERABILITY TO SUCH AN ATTACK WAS DEMONSTRATED BY THE RECENT LAUNCH OF A SUBMARINE BASED ICBM OFF THE COAST OF SOUTHERN CALIFORNIA. THE MOTIVATION FOR A NIGHT LAUNCH MAY THEN HAVE BEEN TO DENY OUR ENEMIES AS MUCH VISUAL DATA AS POSSIBLE. 4) I WOULD LIKE TO HEAR AN EXPLANATION OF THE BLUE LIGHT NOTED BY OBSERVERS, AND VISIBLE IN THE PUBLISHED VIDEO CLIPS. I HAVE NEVER OBSERVED THIS PHENOMENON IN ANY OF THE LAUNCHES THAT I HAVE PERSONALLY OBSERVED. My sources have no immediate and inside information regarding this specific launch of a Trident missile. Because the launch was in the early evening hours, it had no bearing on the redirecting of civilian traffic at LAX. Therefore, my sources have concluded that these two events are not directly connected. The thinking is that the redirecting of LAX traffic is connected to something that has not yet happened. We cannot forget that the U.S. Navy is in a constant state of readiness due to the fact that they are invovled in a never-ending set of war games off of every coastline in America. The thinking behind keeping an inordinate amount of ships at sea is that it keeps our ship safer from an EMP attack similar to the potential EMP I have recently written about in which the Chinese attack the U.S. using localized EMP weapons. And of course, this could be a rehearsal for an anticipated Chinese attack. Captain Eric Merrill-U.S. Navy Commander submarine Emory S. Land (Jul 2011). Vice Admiral Tim Giardina(3 Star, demoted to 2 Star)-U.S. Navy Deputy Commander of the US Strategic Command, Commander of the Submarine Group Trident, Submarine Group 9 and Submarine Group 10 (Oct 2013). Commander Mike Varney-U.S. Navy Commander attack submarine Connecticut (Jun 2011). Lieutenant Commander Lauren Allen-Executive Officer submarine Jacksonville (Feb 2013). Commander Luis Molina-U.S. Navy Commander submarine Pasadena (Jan 2013). Rear Admiral Charles Gaouette-U.S. Navy Commander John C. Stennis Carrier Strike Group Three (Oct 2012). Let’s not forget that it was Gaouette who conspired with former Africom commander, General Hamm, to attempt to rescue Ambassador Chris Stevens in an attempt to perpetrate a soft coup against the Obama administration by having a grateful Stevens “tell-all” about the terrorist funding activities of the administration. Vice Admiral Tim Giardina (3 Star, demoted to 2 Star)-U.S. Navy Deputy Commander of the US Strategic Command, Commander of the Submarine Group Trident, Submarine Group 9 and Submarine Group 10 (Oct 2013). Giardina did not succumb to Obama’s attempts to control the submarine fleet. Obama does not control the submarine fleet. Because the skills of submarine personnel are highly specific, the submarine fleet trains their own and Obama has not been able to figure out how to break through the fleet’s resistance to Obama’s dismantling of the military and the giveaway of American sovereignty. When it comes to the submarine fleet, Obama can keep cutting the head off, but it will keep growing back. This is only a partial list. If one does not think that the firing of over 300 command grade officers in the US military is not linked to neutralizing the American military in a future civil war, you have not been paying attention. Getting information on the nuclear potential of our submarine fleet is difficult. However, because of the SALT treaties, I have been able to learn that there are 14 Ohio-class ballistic missile submarines maintained by the U.S. Navy. Typically, at any one time two of these submarines are in long-term overhaul, meaning that 12 are normally operationally available. Four other submarines of the Ohio-class have been converted to carry conventionally-armed cruise missiles in place of SLBMs. The number of launch tubes on an Ohio-class ballistic missile submarine. Under the New START Treaty, four tubes on each submarine will be converted so that they are incapable of launching an SLBM and thus will not be counted against the treaty’s limit of 800 deployed and non-deployed ICBM and SLBM launchers plus deployed and non-deployed nuclear-capable bombers. The U.S. Navy plans that the Ohio-class submarine’s replacement will have 16 launch tubes. Treaties aside, there are hundreds of nuclear missiles that Obama does not control. This means that in a civil war action which would be opposed by elements of the Navy, this administration would have to rely on Russian and Chinese subs to counter the rogue threat posed by Naval forces which are not loyal to this administration and this is exactly what we find. U.S. national security officials are concerned about the pace and intensity of Russian submarine development, Chief of Naval Operations Adm. Jon Greenert said back in October,2014. “There are competitors that are pursuing us. We know about China. That is very well spelled out, but not as many people know what the Russians are up to. I can’t go into detail, obviously, but they spend a lot of money. The Russians have been working on a sea-based strategic deterrence – and an SSN (attack submarine),” Greenert said at the Naval Submarine League’s annual symposium in Falls Church, Va.
To counter the threat the Navy is engaged in their own version of Operation Red Flag in which the Navy is mostly kept out of its ports to avoid being taken over and in a constant state of readiness that includes developing counter-measures against the Chinese and Russian growing submarine threat. This constant state of readiness has been going on for almost 6 years, which is the approximate length of time that Obama has been in office. Before we discuss counter-measuresin detail, let’s take a look at the Navy preparations in this area. The United States military has the bulk of its fighting force in Afghanistan. 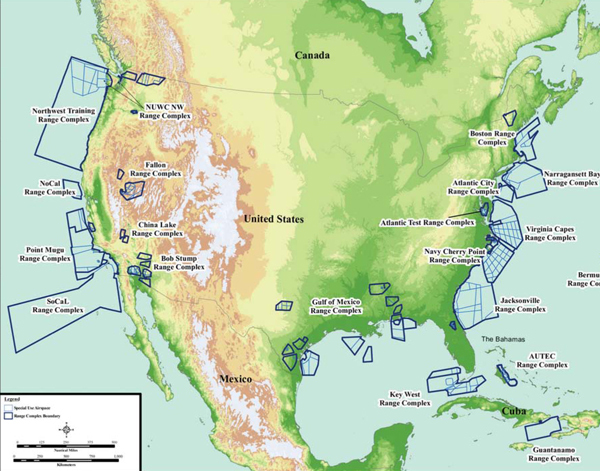 Unknown to most Americans is the fact that there has been a mammoth and ongoing set of war games taking place off of nearly every inch of the three coastlines surrounding the United States. This has required a significant redeployment of Naval, Marine and Air Force assets to be in a constant state of military readiness. The conscious act of keeping most of our Naval assets deployed outside of the continental United States is significant. It relates to the present crisis as a big domino that is ready to fall and it speaks to how soon all us will get to visit our new homes, AKA Fema camps. Take a look at the following map. It was originally published by the Navy in an AFAST document. These Navy (i.e. Operation Red Flag) war games are so huge it has drawn the ire of the Congressional delegations of California, Oregon and Washington. Please allow me to present this as a riddle. Any guesses as to why this is taking place? While you are contemplating your answer, please note that the Navy has nearly every inch of coastline covered. Why would the Navy be in a permanent state of readiness by conducting unprecedented and an unparalleled set of war games continuously going on off of our three coastlines and several of our overseas territories? Guesses have ranged from positioning the Navy, Marines and a fair amount of the Air Force off the coast to keep Americans from running if they are put in harms way when martial law is declared. Some believe that this has to do with preparing to begin World War III. These are all interesting guesses, however, they are not correct and the answer will surprise everyone as I know it surprised me. These ongoing war games have angered much of the Congressional delegations of California, Oregon and Washington. When these representatives got wind of what was coming back in 2009, prior to the Environmental Impact Statement, they organized. Ask yourself, one question, with several members of Congress opposing these massive ongoing war games that have now lasted for 6 years, why wasn’t this been reported on in the mainstream media? By the end of this article, you will be able to answer that question. In response to Congressional requests, NOAA was unwilling to intervene and stop the war games from going forward and these Congressman, now joined by Senators Boxer and Feinstein, approached the Secretary of the Navy, B. J. Penn, and he rejected their request tostop these war games out of hand as well. The United States has the bulk of its land-based fighting units in Afghanistan which totals about 165,000 troops. In a civil war scenario, these troops have been negated. Now we see a significant part of our Navy engaged in this massive off shore exercise. Why? And another important question to be asking is whether or not, the ships and their subsequent military maneuvers are facing toward our coastlines or primarily away from them? Why? Because when Obama was elected, they were not the only ones (e.g. Sheriff Joe Arpaio and former FBI informant, Larry Grathwohl) who knew what an Obama administration would do to this country. Therefore, the Navy went into a self-protective mode. The Navy has been preparing to be attacked if and when civil war comes to America. And isn’t it ironic and coincidental that the original Jade Helm document would identify Southern California to be a “hostile” area. And where, exactly, are most of these forces in question headquartered, in Southern California. 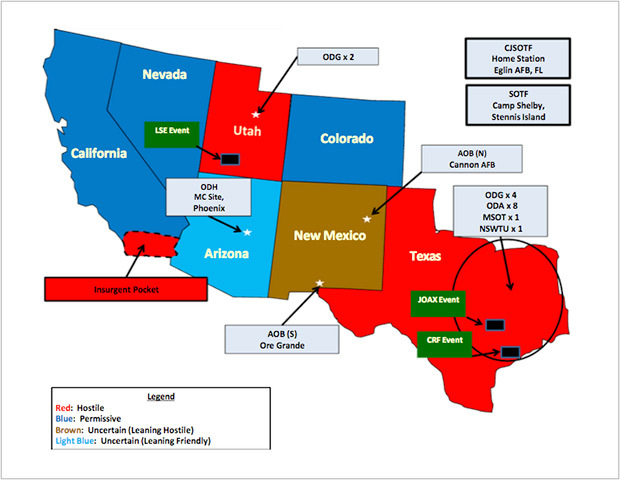 The Jade Helm map is a civil war map. Please note the Southern California region which is designated by this Jade Helm 15 map as hostile. The Obama administration declared this region as hostile for a good reason. 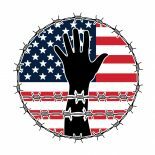 This is the epicenter of any US military resistance to what is coming to this country. And what was Jade Helm 15 about? It was about the redeployment of men an equipment for future combat use. Why Was This Missile Fired? Was it a test in preparation for a Chinese attack upon our coastal military facilities? Or was this missile firing a show of bravado which carried the payload of “bring it on”. A compelling argument can be made with regard to either scenario. In either case, conflict is coming to our shores. It will either be in the form of a civil war, or World War III. And if the Russians and the Chinese were to be included in a civil war scenario, the answer to the original question would be, both. Keep your eyes to the West, things are about to get very interesting. This entry was posted on November 11, 2015 by conspiracyanalyst in Military, Nuclear War, US News, War & Peace, World War III and tagged California, Civil War II, Trident missile launch, World War III.